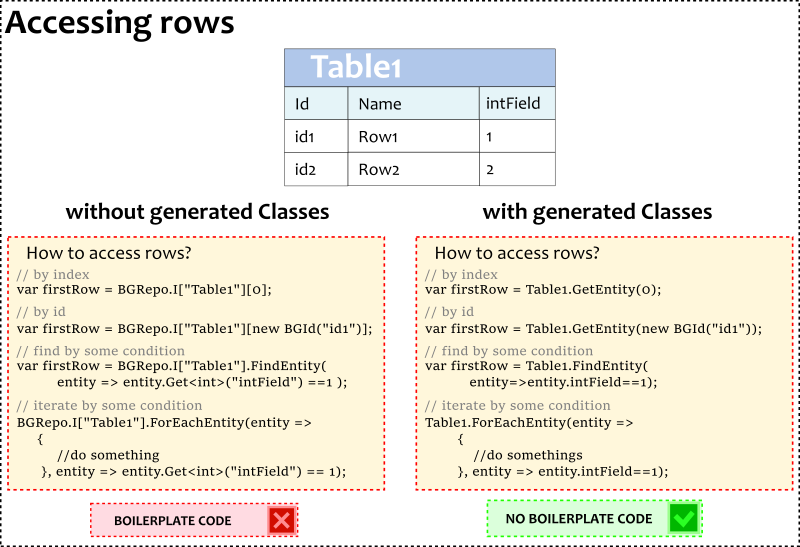 Main purpose of these classes- is to be used as table rows instead of generic BGEntity class. This is the main type of Code Generation. 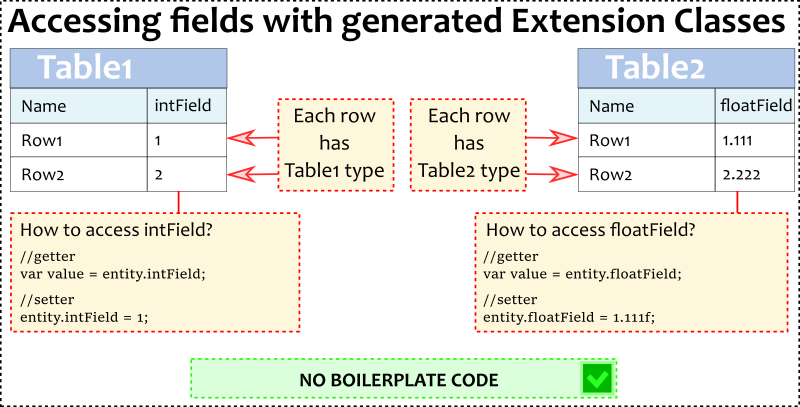 It removes all boilerplate code and provides super easy and slim API for accessing table rows and their fields. Generated classes are inherited from generic BGEntity class. These classes can not be added to GameObject, cause they are not Unity's MonoBehaviour (there are also another generated classes, which can be added to GameObjects, learn more here). 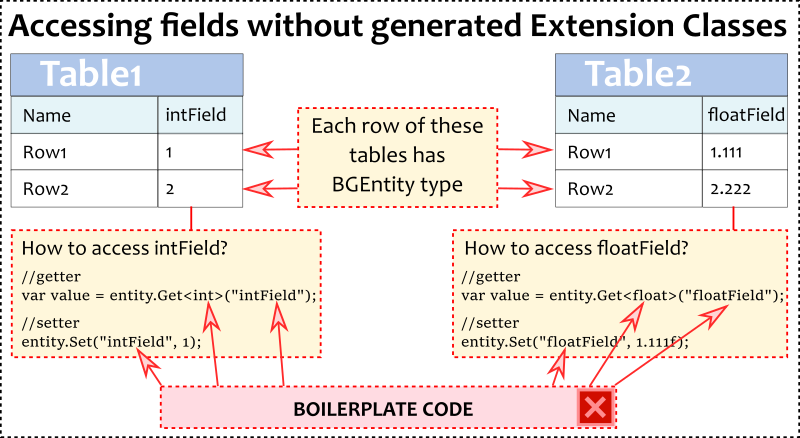 When this CodeGen is enabled, database populated not with basic BGEntity objects, but with these extension classes. So when you access database like this var entity=meta; entity variable has this extension type with all the fields generated as properties. Package - package (namespace) for you classes. Field names prefix - the same as classes names prefix, but for fields. After you fill all parameters, press Generate button to generate classes.